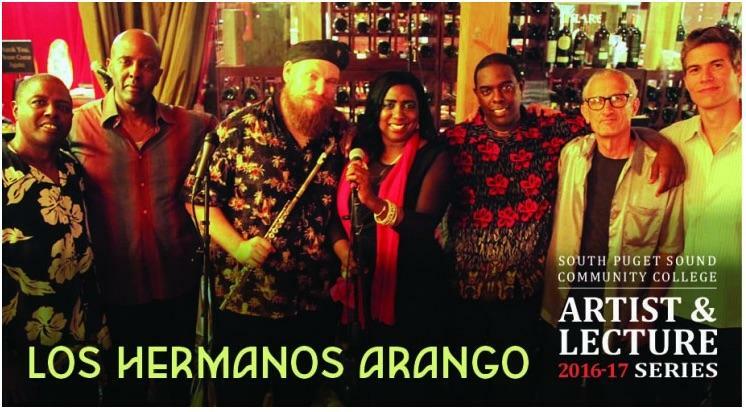 Hailing from Cuba, Los Hermanos Arango are a unique musical group rooted in Afro-Cuban folklore and jazz funk. Since the group formed in 2003. Los Hermanos Arango (The Arango Siblings) have recorded four albums and have performed for audiences around the world, revealing the group’s authentic rhythms through harmony, afro-folkloric drums, and horns. Listen to samples of their music here.